Samaritan Healthcare & Hospice has been serving the Cherry Hill, New Jersey community since its inception in 1980. Throughout the last 40 years, Samaritan has cared for your neighbors in Cherry Hill Estates, Barclay, Wexford East, Springdale, and Woodcrest, among others. As your Cherry Hill NJ hospice, Samaritan physicians, nurses, social workers, spiritual support counselors, certified home health aides, and volunteers visit your home, assisted living, or nursing home to help your family through the end-of-life journey with care and compassion. As a Cherry Hill resident, you are also conveniently located to Samaritan’s inpatient hospice centers in Voorhees and Mount Holly. 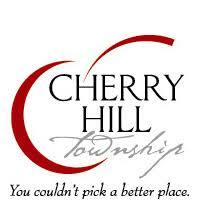 How Does At-Home Hospice Care in Cherry Hill Work? When you call Samaritan about hospice services in Cherry Hill, NJ, a nurse will ask for your loved one’s name, address, and other contact information. They will also inquire about your loved one’s diagnosis, current physicians, and other specialists. 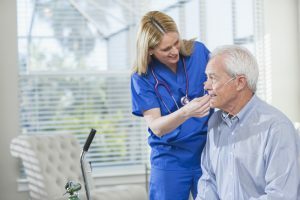 After gathering these personal details, the nurse will then schedule an appointment with you for a hospice admissions nurse to visit your loved one in their home, assisted living facility, nursing home, or hospital. Our hospice care coordinator will also reach out to your loved one’s physician for the hospice referral. During the home visit, the nurse will ask for more details about symptoms, discomfort, medications, and more. You will receive a clear explanation of hospice services and have the opportunity to ask any questions. If you choose to sign up with hospice, you will then sign hospice election forms. Interested in learning more about how Samaritan hospice care can help your family in Cherry Hill, NJ? Call us 24/7 at (800) 229-8183 to speak to one of our care coordinator nurses. Choosing the best hospice care provider is very important. 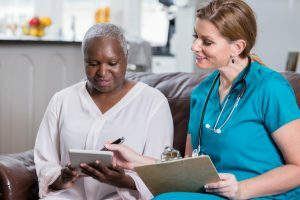 One of the best ways to learn more about hospice providers is by word of mouth, particularly if a relative, Cherry Hill neighbor, or trusted friend shares their hospice experience. Here are some additional suggestions to help you find the right hospice-care provider for your family in Cherry Hill.